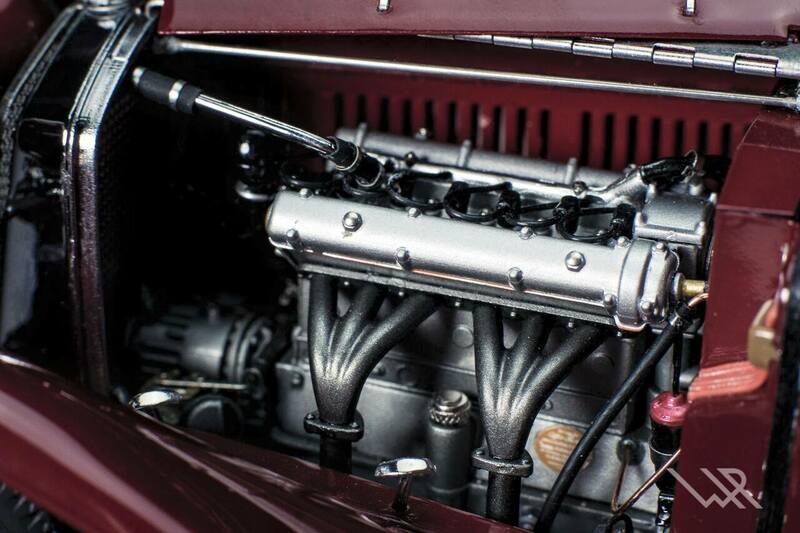 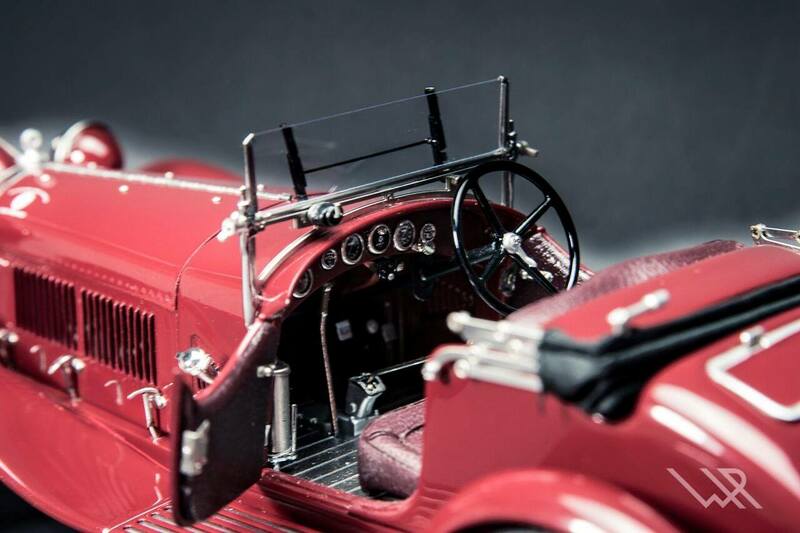 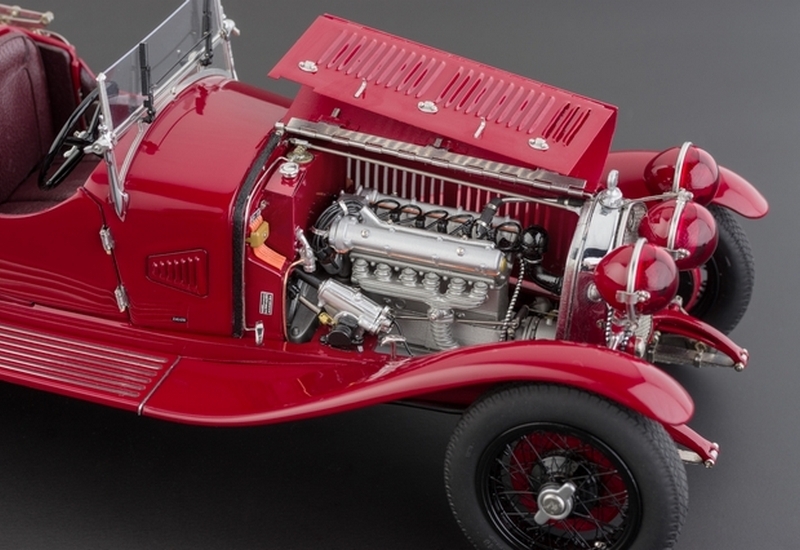 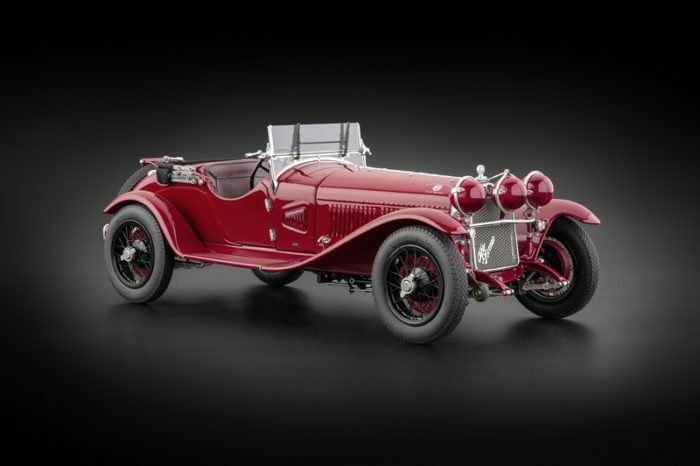 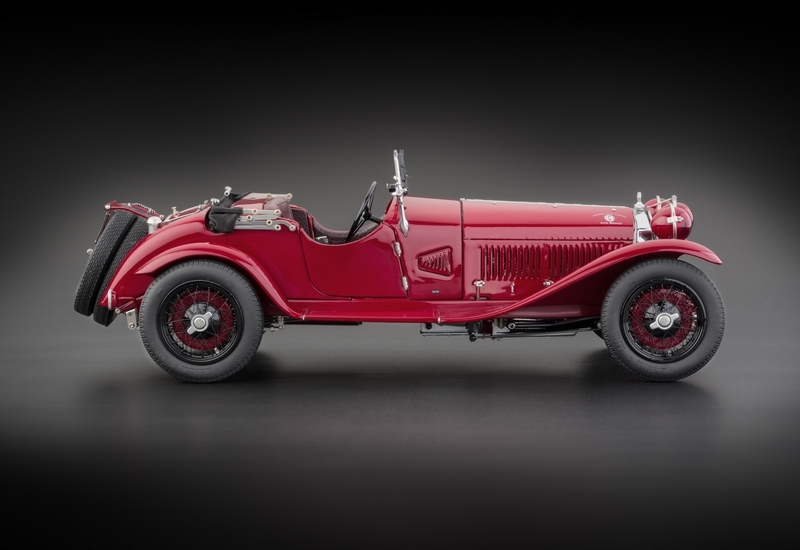 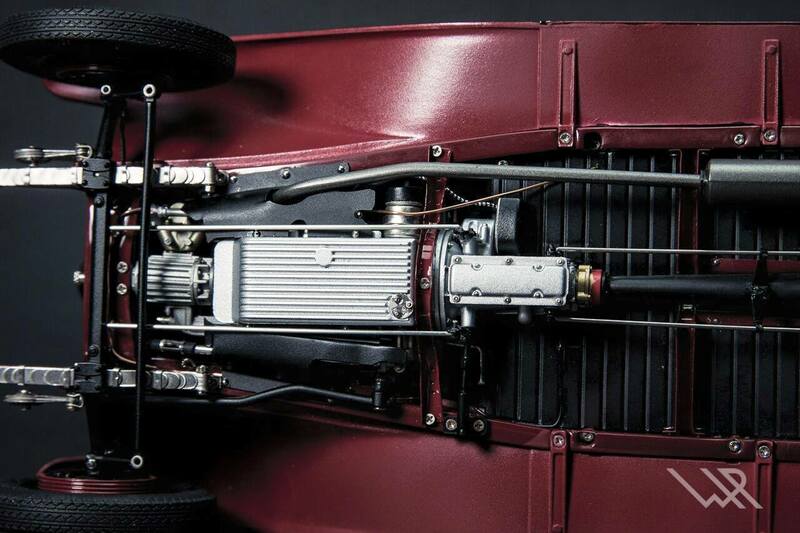 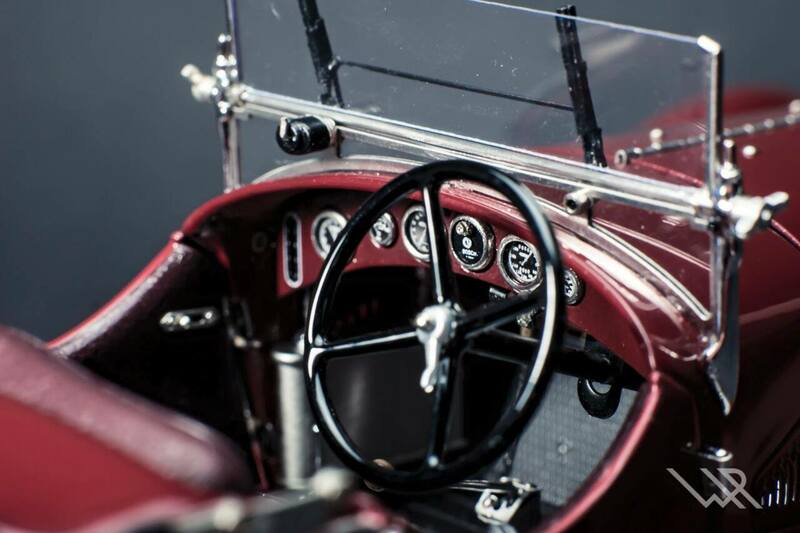 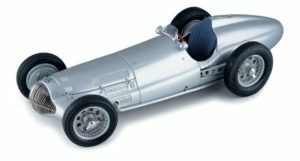 The Gran Sport was the most fascinating and successful car from the Alfa Romeo 6C 1750 series of the 1930s. 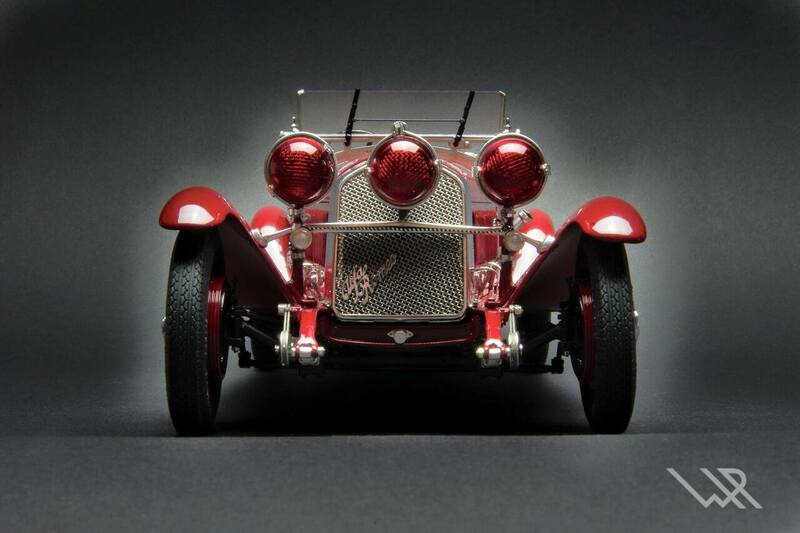 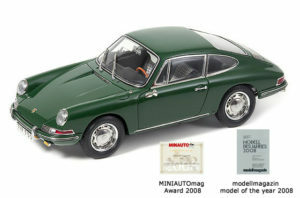 Its body was customized by the famous designer Zagato. 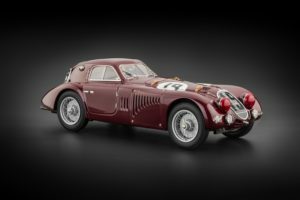 With numerous wins to its credit, the 6C GS dominated the racing scene of the era. 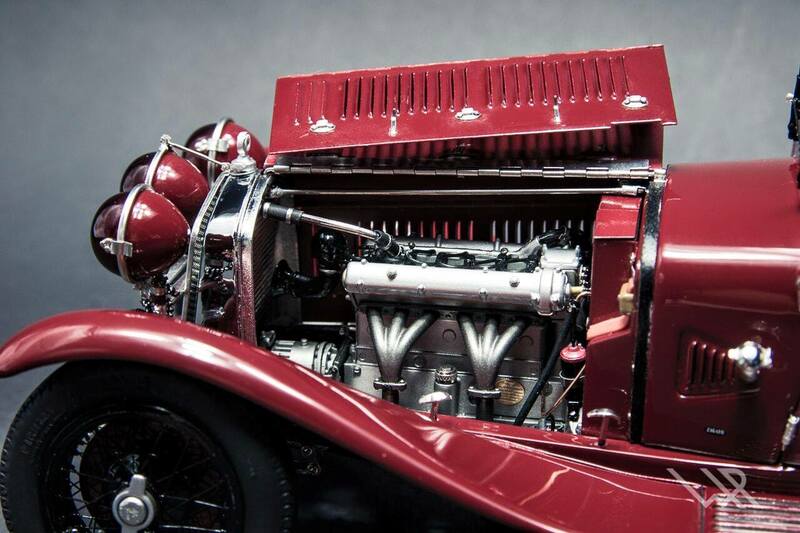 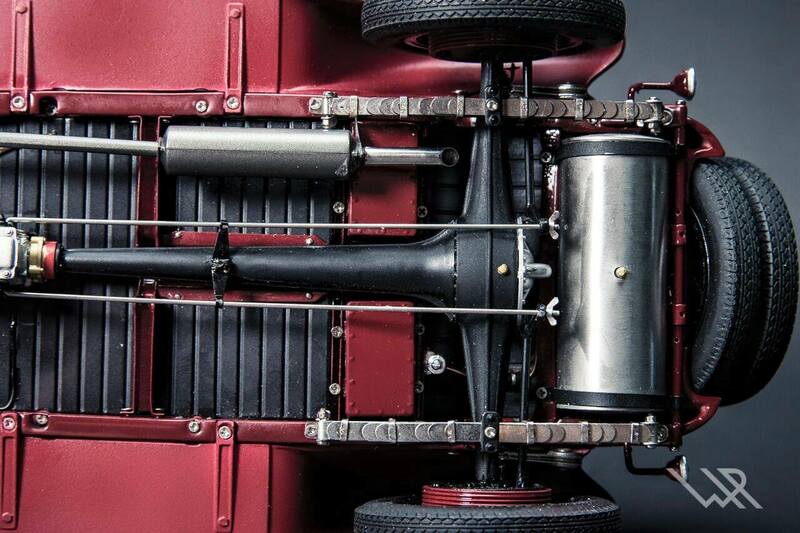 The original vehicle is a star exhibit in the Alfa Romeo museum in Arese, Italy. 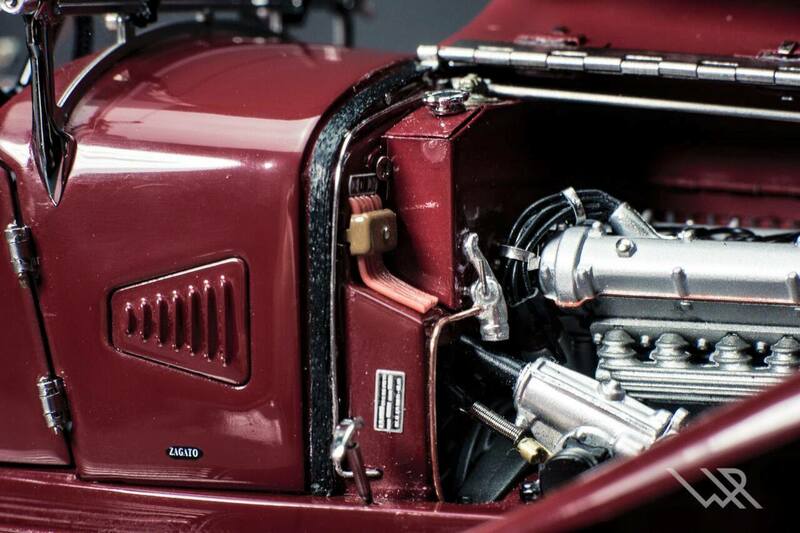 This precision miniature us hand-built from some 1,800 parts. 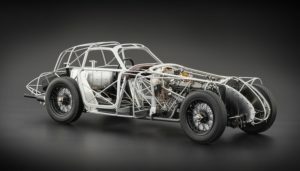 It features an extensive use of sheet metals for framings, functional parts, and body parts (e.g. 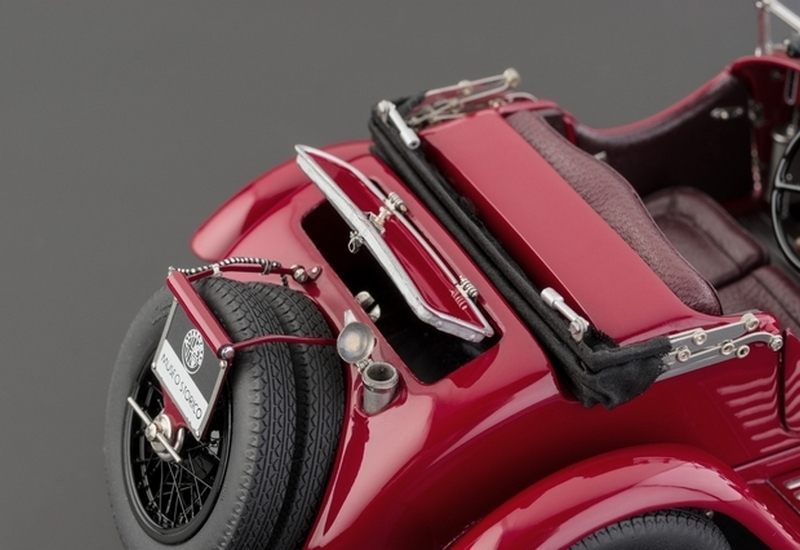 engine, hood, trunk, etc.) 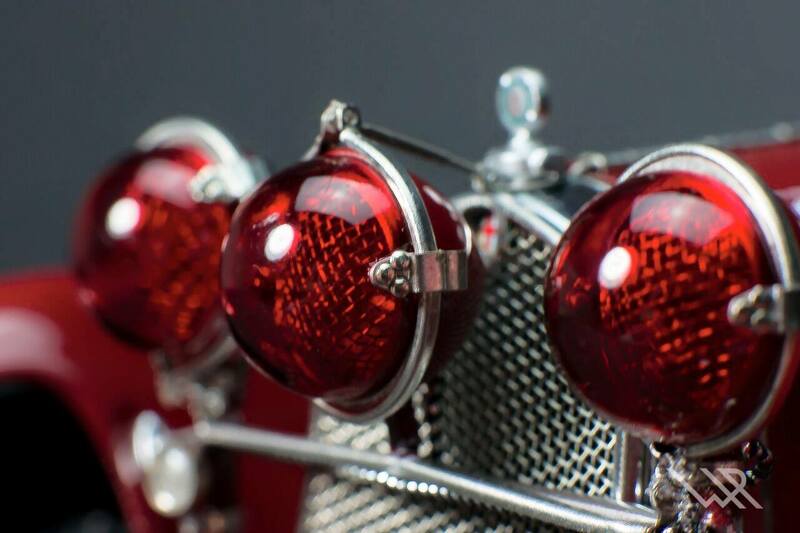 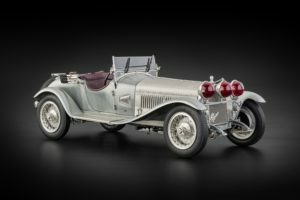 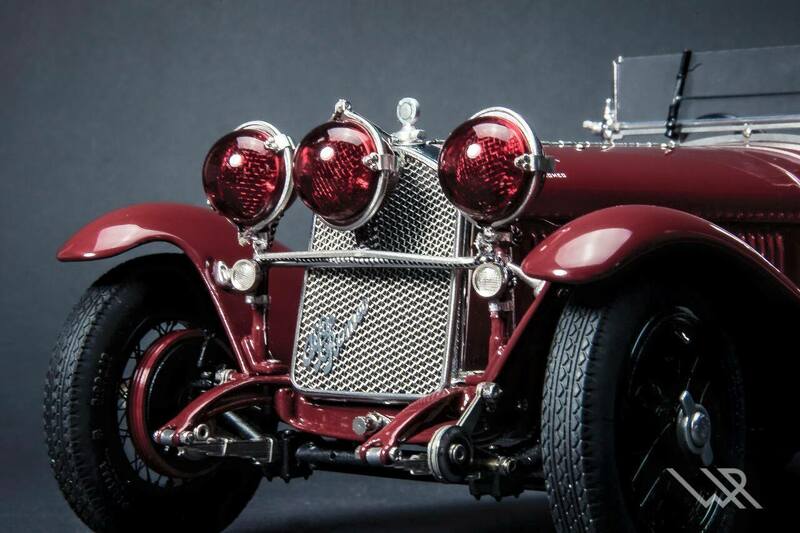 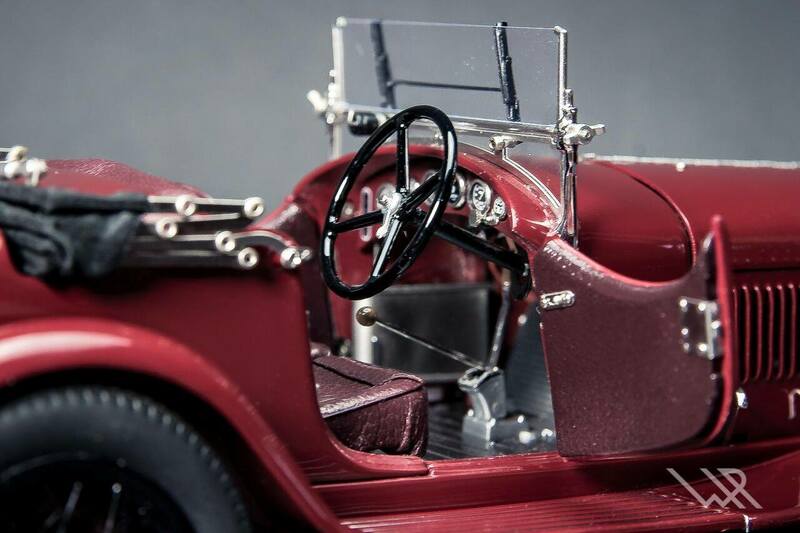 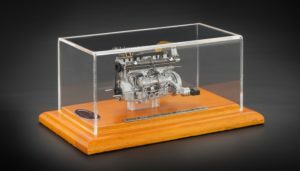 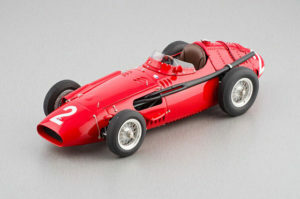 A distinct Alfa Romeo front end with a famous triple-headlight is faithfully replicated and so are the windshield, trunk, and 6-cylinder in-line engine. 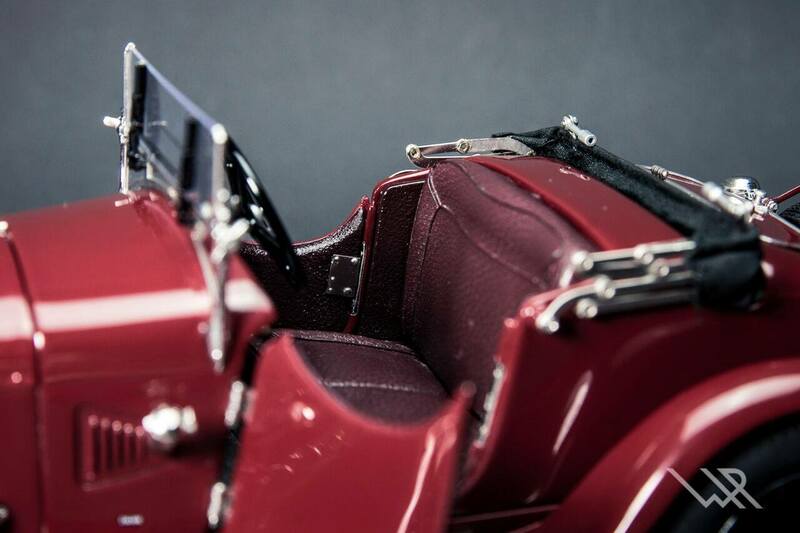 Lots of functional parts.